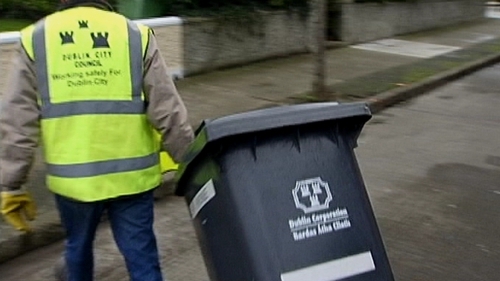 Dublin City Council is being investigated over the way it handed over customer details to a private waste company. As part of the deal the Council handed over the details of its 140,000 customers. The Office of the Data Protection Commission said there were questions to be answered about how the data was transferred. The Office says it wants more information about how Greyhound Recycling and Recovery is using information provided to it by the council to collect debts on behalf of the Council for unpaid waste charges. Deputy Data Protection Commissioner Gary Davis confirmed that the Office wrote to Dublin City Council yesterday. He said they wanted to establish the legal basis on which the council transferred residents' details to Greyhound and what procedures have been put in place to ensure that the private company does not match the information about debts owed to their general customer database. Dublin City Council has seven days to reply to the request for information. In a statement, the Council said it has been in contact with the Office of the Data Protection Commissioner and is co-operating fully with the investigation. A spokesman for Greyhound said the company has not been notified about any investigation and is fully data complaint. It says the cards they issued to customers do contain account information and a verification code but that the company is advising customers to change the code after the first time they log on. The company also said it would fully cooperate with any investigation.